Spring time is the perfect time to harvest nettles. Cooked nettles have a very similar taste and vitamin content to spinach, but as they grow in the wild they are absolutely free. When foraging for nettles, make sure you wear thick gardening gloves and pick from an area far away from the pollution of a busy road. Choose just the young leaves from the top of the plant. Harvesting the terminal (top) bud will stimulate lateral bud growth causing the plant to become more bushy and allowing you to harvest continually from the same plant. 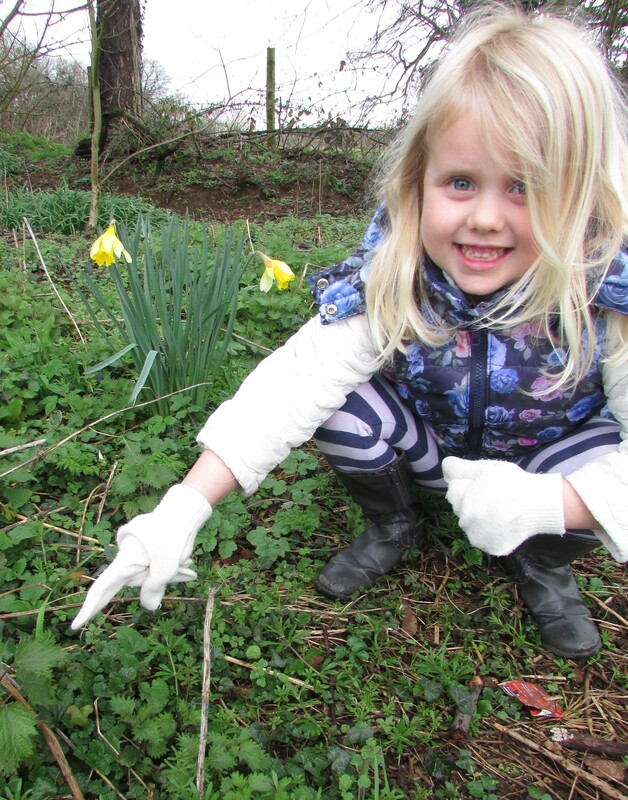 Again, making sure you are wearing gloves, rinse the nettles thoroughly and discard any thick stalks. In a pan gently fry a crushed clove of garlic until golden brown. Add the rinsed nettles and a tbsp of water to the garlic and cook for a couple of minutes until the leaves have wilted. Switch off the heat. 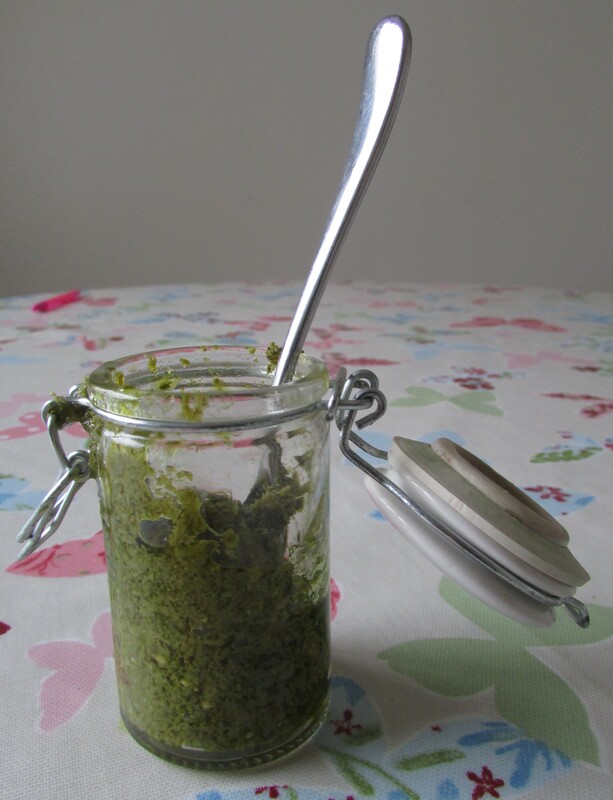 Transfer this mixture to a food processor or use a hand blender to blend the nettles. Add the grated cheese, cashew nuts, lemon juice and yoghurt and continue to blend until you have a smooth green paste. You can add more yoghurt or olive oil if needed. Now simply stir the nettle pesto through some cooked pasta or spaghetti, season with plenty of black pepper and serve with fresh salad leaves. The pesto will keep in an airtight jar in the fridge for up to a week. This entry was posted in Frugal Family Meals on April 3, 2015 by carolinementzer. What’s up for pickings in July? Feed a Family Oxford got published!